TransCanada PipeLines acknowledges it considered aggressive tactics such as using proxy groups to attack opponents of the company's proposed Energy East pipeline. But the Calgary-based pipeline company (TSX:TCA.PR.X) says it did not accept those recommendations outlined in leaked documents from the Edelman public relations firm obtained by Greenpeace. "Everything that Edelman put forward we've considered," said James Millar, TransCanada's director of communications. "But then it comes down to implementation, and that's not something that we've implemented." The documents, obtained by The Canadian Press and dated from May to mid-August, outline what Edelman call a strategy with a "strong heritage in the more aggressive politics and policy fights in the U.S."
Edelman, an international public relations consultant involved in controversial campaigns in that country, recommended TransCanada copy social media methods used successfully by environmentalists to rally and channel grassroots support. "Third-party voices must also be identified, recruited and heard to build an echo chamber of aligned voices," the document says. 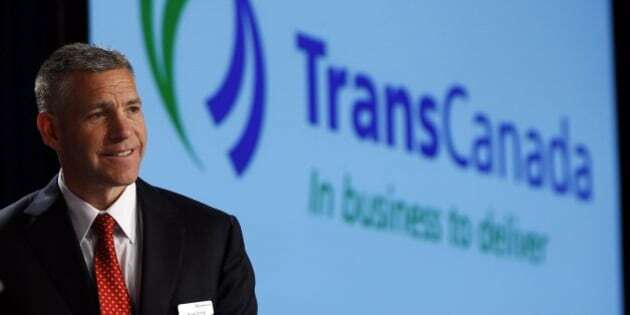 TransCanada has taken that advice and has already got 2,500 to join its campaign over the last two weeks, Millar said. But Edelman goes on to recommend working with proxies to secretly "add layers of difficulties for our opponents." Those groups can be used to cast doubt on Energy East opponents, it says. "This point should particularly be made in communication to supportive third parties, who can in turn put the pressure on, especially when TransCanada can't." It recommends detailed research be done on groups including the David Suzuki Foundation, the Council of Canadians and Equiterre. The research would include finances, organization, history, ties to other groups and leadership. "We will work with third parties and arm them with the information they need to pressure opponents and distract them from their mission." The document also includes detailed plans for Quebec, profiling communities and leaders along the pipeline's proposed path in that province. Millar acknowledged TransCanada has developed an extensive social media program as a result of the Edelman proposal. That's a result of learning from the debate over the Keystone XL pipeline expansion project that has been waiting for a decision in the U.S. for years. "We weren't in the conversation enough on Keystone," he said. "We're trying to get into the conversation." He also acknowledged TransCanada is collecting public information on its opponents. But Millar said TransCanada has drawn the line at attacking those opponents with under-the-table help. "The way of building honest advocacy is the way to go," he said. "You have to hold what you do up to public scrutiny. "Judge us on what we do." Using proxies to undermine an opponent would be a new and unwelcome tactic in Canada, said Colin Babiuk, curriculum co-ordinator and former head of the public relations program at Edmonton's MacEwan University. "If people are being asked to act on your behalf, that should be transparent," he said. "If it's not being done with transparency, it's not being done ethically." The Edelman proposal reads more like a blueprint for an American political campaign than a communications plan, Babiuk said. "We practise (public relations) at a higher standard of ethics and responsibility in Canada. This is kind of like bringing in a U.S.-style mindset." Environmental groups targeted in the outline of Edelman's communications plan for Energy East remain wary. "They knew who they were hiring," said Andrea Harden-Donahue of the Council of Canadians. "Edelman's been involved in questionable tactics before." Edelman has in the past worked for such groups as the American Petroleum Institute, which has worked to dilute U.S. climate change legislation. Edelman has since issued a statement saying: "We do not accept client assignments that aim to deny climate change." Keith Stewart of Greenpeace points out the final Edelman plan was the result of months of meetings and discussions with the company. "This wasn't just a pitch from Edelman out of the blue," he said. "(The document) is clearly a product of two organizations." Stewart also notes the document doesn't actually mention climate change, a main concern of those opposed to Energy East. "When you aren't actually dealing with the substance of your opponent's main concern, to me that indicates this is about spin, rather than communicating about substance."